Equality, Diversity and Inclusion (EDI) are three vital priorities that all workplaces should strive to achieve for their workforce, and those working in the biosciences are no exception. This is not always the case in the workplace. In some instances, our unconscious biases – and therefore our actions – are denying certain people access to equal opportunities. Despite improved awareness of conscious and unconscious bias, actively discriminatory attitudes to women and other underrepresented groups do still exist. However, the determination and diligence of many individuals and organisations, who are focused on furthering EDI in the workplace, continues to bring about real and positive change. Every year RSB organise an evening discussion for senior executives and managers of our Member Organisations (MOs) to facilitate networking, and the sharing of information and best practice on important topics. This year the topic was “Diversity, equality and inclusion in practice,” which provided an opportunity to learn and raise awareness of inequalities in the workplace and discuss initiatives that can be put in place to address them. The keynote talk was delivered by Professor Hilary Lappin-Scott from Swansea University, previous president of the then Society for General Microbiology (now the Microbiology Society). Hilary spoke about the positive changes observed in the Society’s membership, which has seen a dramatic increase in female participation in communication, professional development and scientific conference committees and divisions, over the last few years. Hilary’s address was motivational; she encouraged the audience to take an active and responsible part in improving their own working environment, discussed the ways in which senior management can have an influential and positive top down effect, and advocated public engagement schemes that raise the profile of underrepresented groups in science. 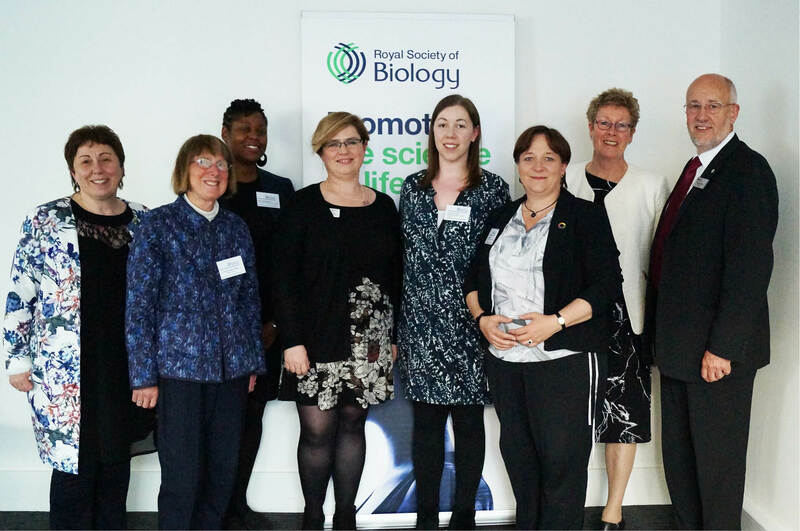 The rest of the evening saw lighting talks by representatives from RSB MOs and other relevant bodies such as the Microbiology Society, the Nursing and Midwifery Council, the Daphne Jackson Trust, the Biochemical Society and the British Pharmacological Society. A variety of topics were introduced during the event, including the effectiveness of making women and underrepresented groups in senior roles more visible, appointing diversity champions, communication and engagement strategies, addressing equality issues in publishing and diversity data management. I found the event a very rewarding and motivational experience. The talks highlighted the importance of collaboration among organisations and provided guidance and training on EDI issues. The take-home message for me was that enabling people of all backgrounds to feel equal and included boosts the confidence of every individual, resulting in improved team morale and cooperation. As a PhD student and a young female member of the bioscience community myself, I feel it is our responsibility to challenge prejudice and discrimination, and to foster a richer, more creative and more productive environment. Everyone deserves to feel welcome, and to be offered the same opportunities for career advancement and development regardless of race, gender, sexuality or any combination of these and other characteristics, which make anyone an individual.